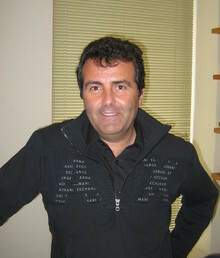 Xavier Sala-i-Martin is a professor of economics and the 2006 winner of the Lenfest Prize. He earned a bachelor’s from Autonomous University in Barcelona and his Ph.D. from Harvard. An expert on economic growth and calculating the distribution of wealth, he is a celebrity in Spain. Sala-i-Martin had his own television show and was president of the champion FC Barcelona soccer team. He hosts a radio show, which he broadcasts live to Spain at 2:30 a.m. EST every Tuesday from his office in SIPA. How did you get interested in economics? I didn’t know what economics was in high school, so I asked my family who was the richest guy in the family, and what did he study. An uncle of mine was an economist. In Spain, you don’t go to college and then choose your major. You actually have to choose a school at a young age. It’s like choosing a graduate school at 17. You choose blindly. Therefore, I chose for the wrong reasons. Fortunately, I made the right choice in the sense that then, once I was in the economics school, I loved it. I was a professor at Yale. I gave a seminar and Bob Mundell [Nobel-prize winning Columbia economist] was there. I usually wear colorful jackets. He came to me and said, “A person who wears this fuchsia jacket has to live in New York City.” I looked through the window and I saw New Haven, and I said, “That’s true. This is a terrible place.” So I decided to move. That was 1995. Which classes will you be teaching this fall? Intermediate macroeconomics and economic growth and development. I’m fighting the World Bank and the United Nations as to how you actually estimate the world distribution of income. My goal is to estimate how many people make $1 a day, how many make $2 a day, $3 a day, $1,000 a day. There are a lot of important things that one can estimate, such as the number of poor people, the level of inequality, the distance between rich and poor. I think that the World Bank and the United Nations do it wrong. The whole aid industry needs to find out whether we are achieving the goals we set. Is it true that poverty is declining? How fast? If we don’t measure these things correctly, we don’t know if we’re doing it right. I’m designing methodologies to measure these things, and the results are very different from what the World Bank and the United Nations are saying. How did you get the idea to start Umbele, your nonprofit organization in Africa? My line of research deals with economic growth and development and the economics of poor countries. I have to travel to Africa often. Once you start seeing what’s going on there, you start realizing that more can be done and more should be done, and things being done could be done better. The institutions doing this usually are not doing this well. Claremont Avenue. I walk to class. I don’t have a car. I’m very shy. My students think that I’m flamboyant, always joking and open, but I’m incredibly shy. It’s very hard for people to believe, but it’s true. What on your résumé are you most proud of? Being a Columbia professor. People are impressed by the soccer stuff and having my own TV show, but I think I am most proud of being a Columbia professor. I don’t relax, actually. When I finish one thing, I go on to the next thing. I write, I teach, I give seminars, I give conferences all over the world, I run soccer clubs, I run foundations in Africa. I don’t think I have any free time. I have lots of hobbies, but I don’t get to enjoy them. I don’t even sleep much. I sleep four hours a day. New York. New York is my favorite place in the world, and I wish I could be in New York more often. Unfortunately, I give many conferences and seminars so I have to travel to some other country almost every week. Usually when I teach, I’m here Monday through Wednesday. On Wednesday night, I travel for work, then come back on Saturday. My bed. The place I like most outside my home and my office and my classes is Nobu, the sushi restaurant. It’s the second best restaurant in the world (the best is El Bulli, in Barcelona). Sushi and paella. The common denominator is rice. Can you talk about your fame in Barcelona versus your relative anonymity in New York? In Barcelona, I cannot go out to a restaurant without being stopped by people asking for pictures, for autographs, for economic advice. It’s very difficult. You go out with your girlfriend, and you cannot walk without being stopped. People come from Spain and stop in my office as if I was a monkey in the zoo, one of the attractions. It’s good to be in New York and be able to go restaurants and have nobody bother you. What’s the last great book you read for pleasure? Ideas: A History of Thought and Invention, from Fire to Freud, by Peter Watson.